The work of dope testers is constantly being obstructed by the development of ever harder-to-trace new forms of banned substances. Organisations such as the World Anti-Doping Association and the United States Anti-Doping Agency are pioneering cutting-edge techniques designed to keep competition at the highest level fair and safe, and must ensure that their drug testing laboratories adhere to the highest scientific standards. In Pharmacology, Doping and Sports these techniques and procedures are explained by the anti-doping experts who practice them. 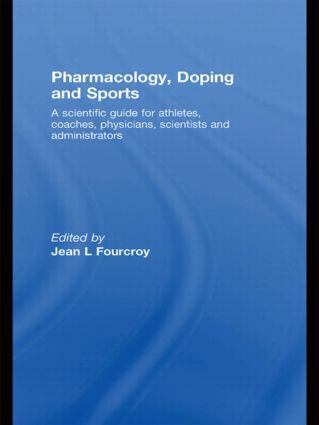 Written by some of the world's leading authorities on the science of sports doping, Pharmacology, Doping and Sports provides an invaluable study of up-to-the-minute anti-doping techniques. This book is essential reading for all sports scientists, coaches, policy-makers, students and athletes interested in the science or ethics of doping in sport.